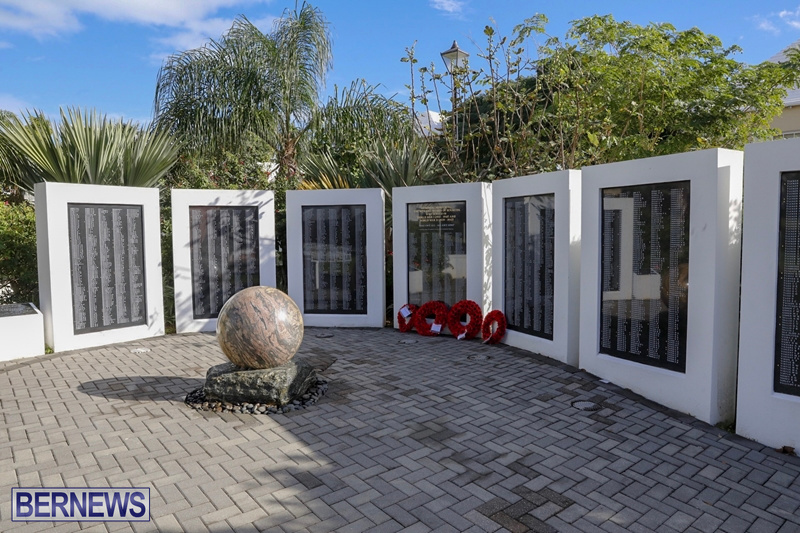 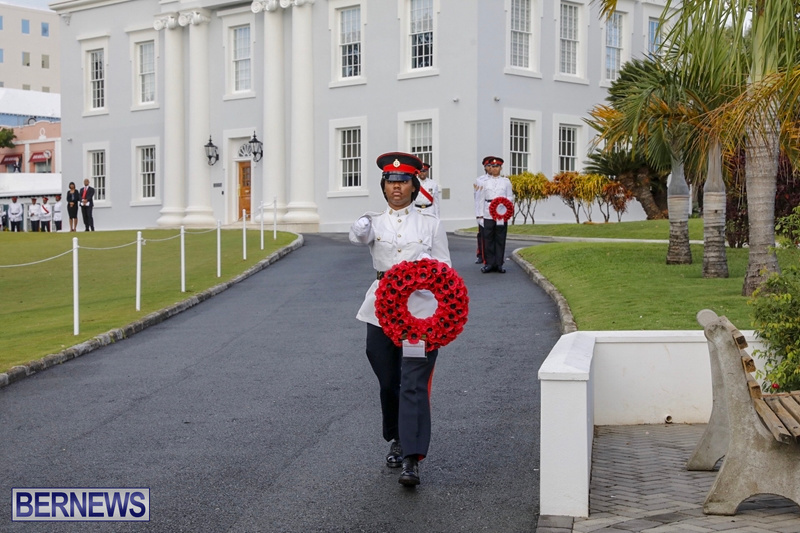 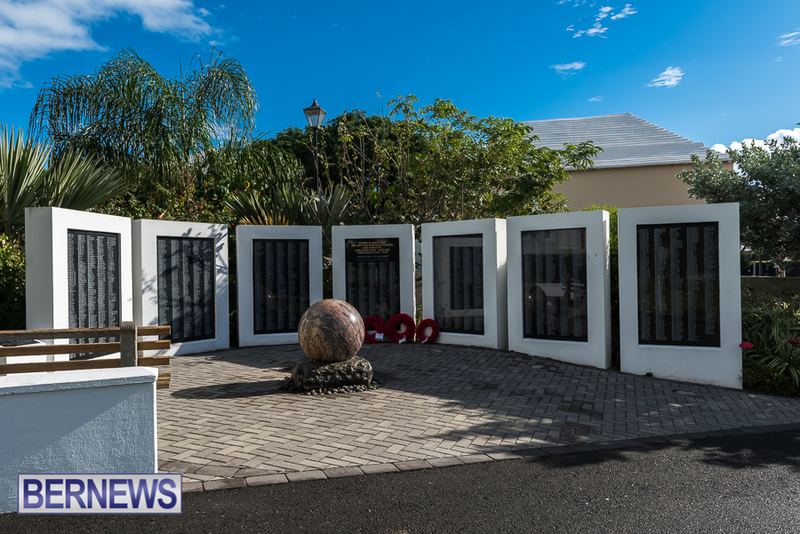 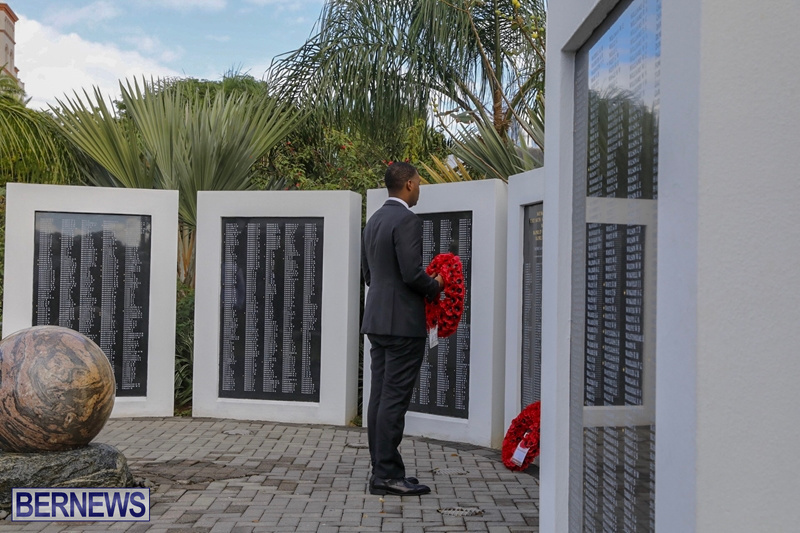 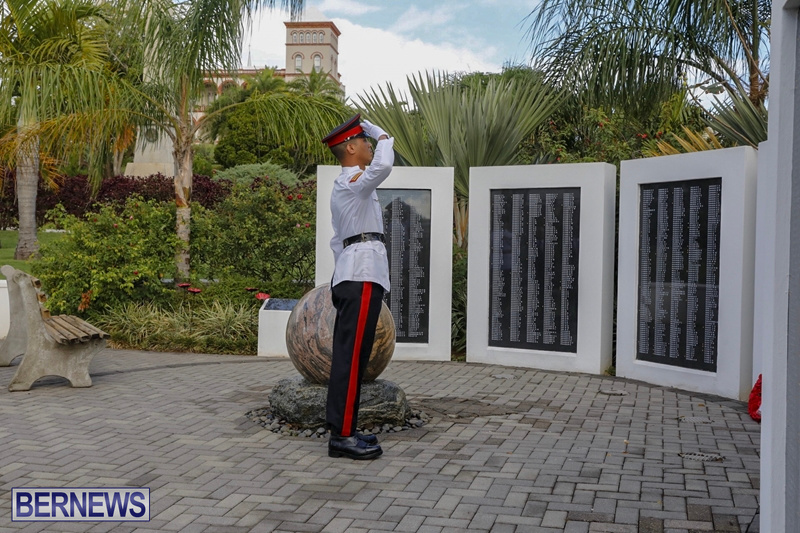 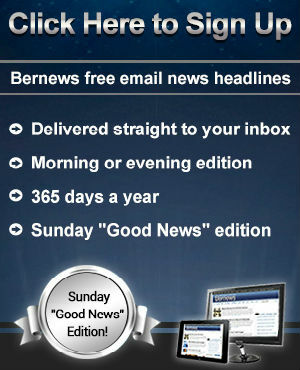 Bermuda is joining nations around the world to mark the 100th anniversary of the end of the First World War, with a series of events being held today [Nov 11] to mark the end of the conflict, as well as to pay tribute to all the island’s war veterans, with hundreds of Bermudians having served in both World Wars. 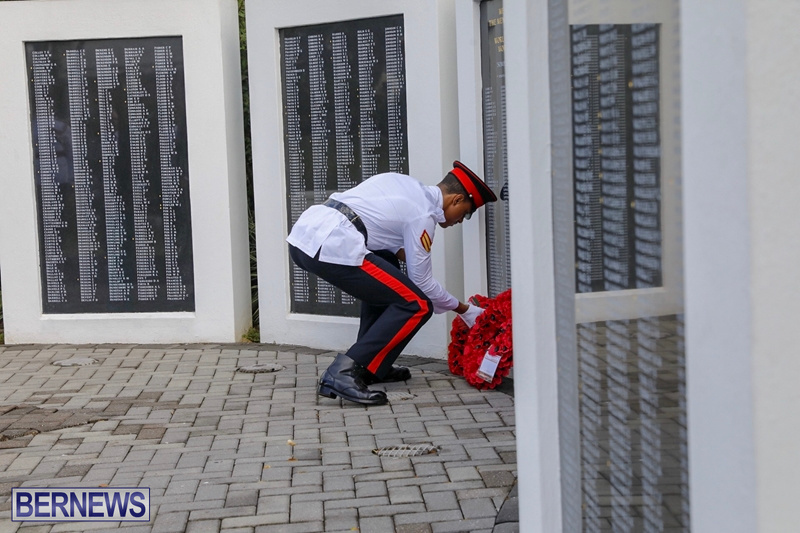 A solemn wreath-laying ceremony was held at the War Memorial on the Cabinet grounds in Hamilton this morning, with wreaths laid by people including Premier David Burt and Governor John Rankin, which this ceremony followed by the Remembrance Day Parade on Front Street. 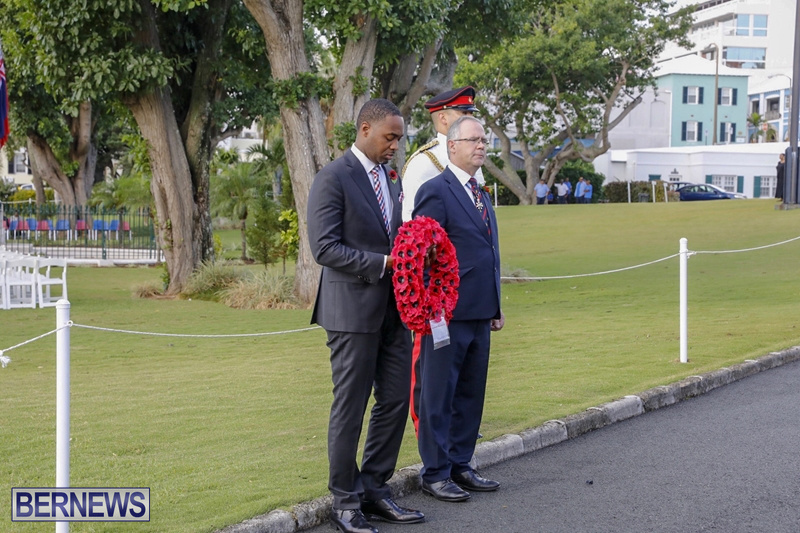 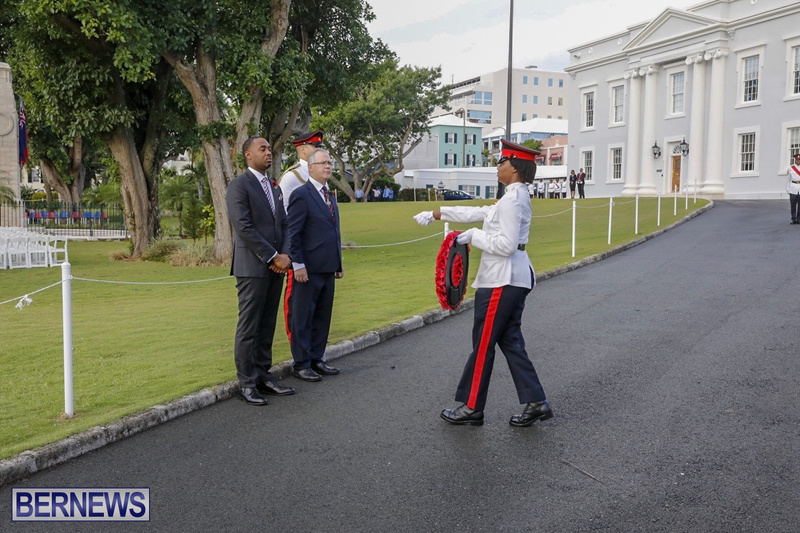 Today’s commemorative events will also include an Island-wide Bell Ringing at 3.00pm, and a Beacon Lighting Ceremony at Government House will take place at 4.45pm. 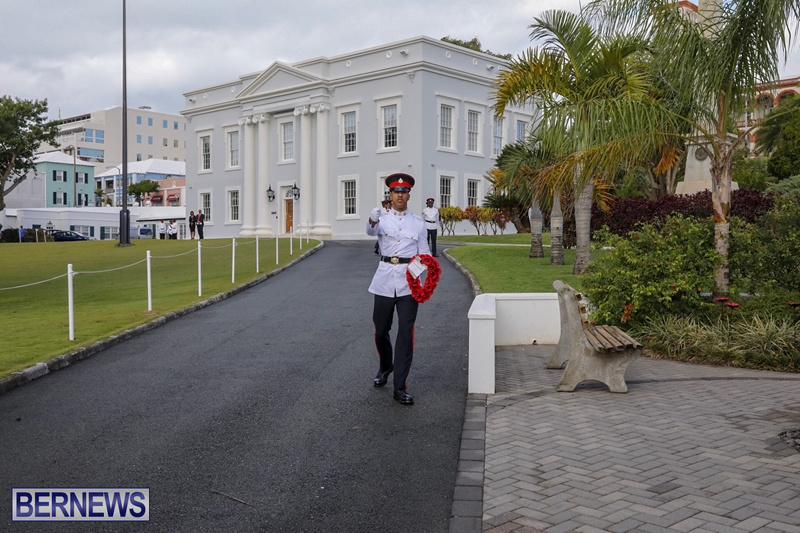 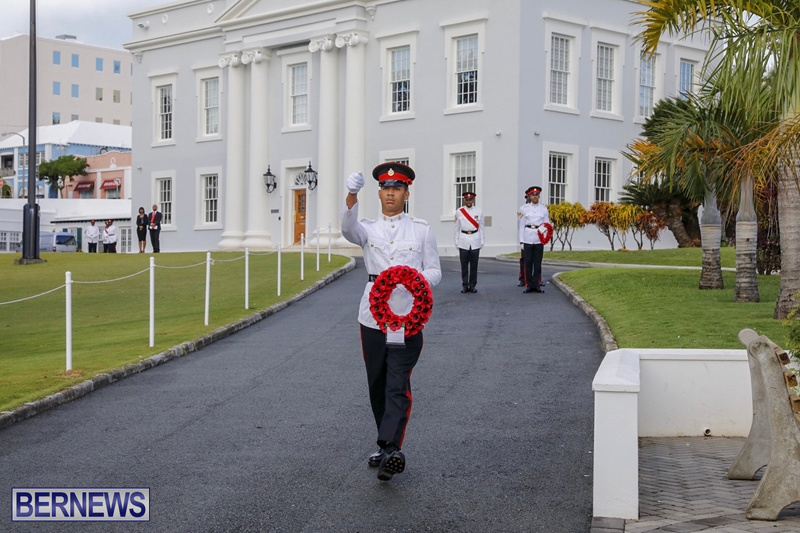 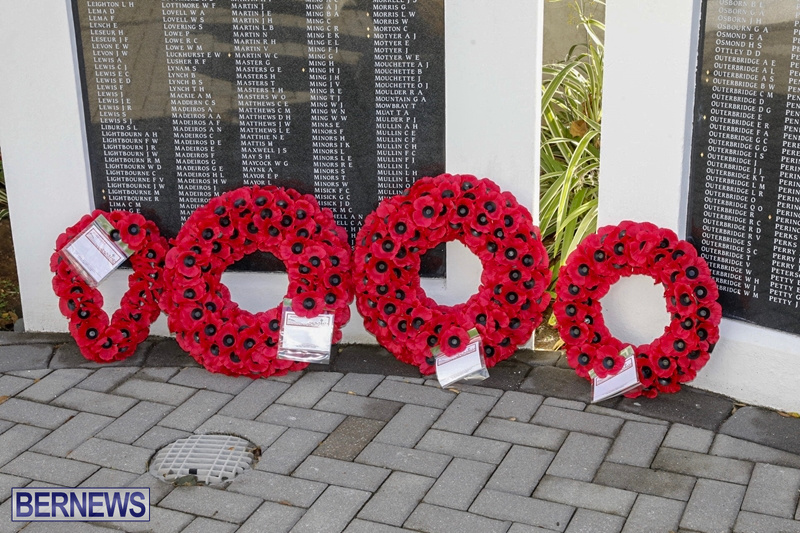 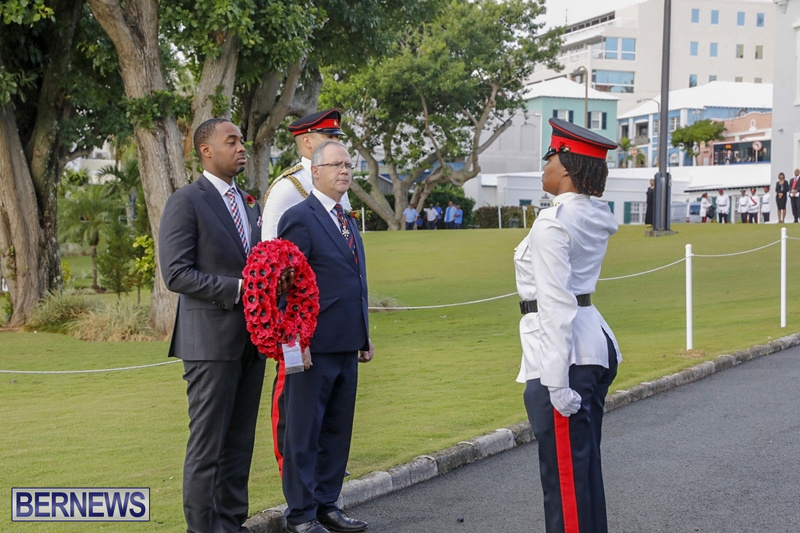 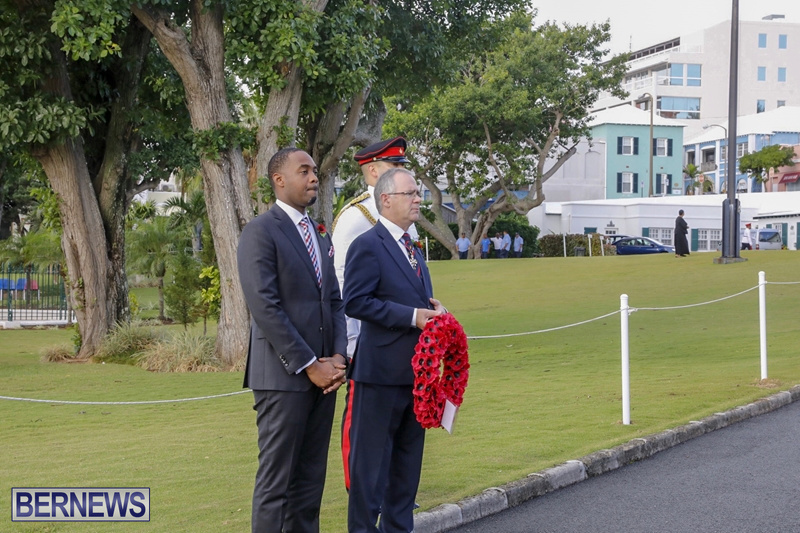 You can view photos of the wreath laying below, and all our coverage of Remembrance Day here.